ww2dbaseHugo Sperrle was born in Ludwigsburg in southern Germany. He joined the German Army in 1903 and served with the German Army Air Service (Luftstreitkräfte) as an observer in WW1, earning the Iron Cross award in 1914. After WW1, he became a member of the para-military Freikorps. 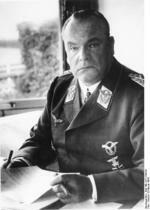 In the 1920s, he commanded the secret German training school in the Soviet Union. 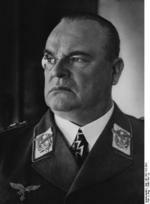 In 1935, he joined the newly formed German Air Force, Luftwaffe. During the Spanish Civil War, he was the first operational commander of the Condor Legion, leading German troops on the side of the Nationalist forces. He was made a full general on 1 Nov 1937. On 12 Feb 1938, when Adolf Hitler met with Austrian Chancellor Kurt Schuschnigg to exert pressure for Austria's merger into Germany, Hugo Sperrle was selected by Hitler to accompany him for his intimidating appearance (as was Walther von Reichenau for similar reasons). During the attack on France in 1940, he was the commanding officer of Luftflotte 3; for the successes in France, he received the Knight's Cross of the Iron Cross on 17 May 1940. On 19 Jul 1940, he was promoted to the rank of Field Marshal. During the Battle of Britain, he played a major role in the strategic planning and was a major proponent of targeting British fighters above all else. After some time in North Africa and Southern Europe, he was transferred back to France shortly before the Allied invasion at Normandy. In Aug 1944, he was dismissed from command for his failure to regain air superiority over France, and ceased to play a role in the war after that point. 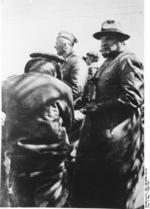 He was captured by the Allies after the war and was tried and acquitted for war crimes. He passed away in Munich, Germany in 1953. 7 Feb 1885 Hugo Sperrle was born. 25 Feb 1904 Hugo Sperrle was promoted to the rank of Fähnrich. 18 Oct 1904 Hugo Sperrle was promoted to the rank of Leutnant. 18 Oct 1912 Hugo Sperrle was promoted to the rank of Oberleutnant. 28 Nov 1914 Hugo Sperrle was promoted to the rank of Hauptmann. 1 Oct 1926 Hugo Sperrle was promoted to the rank of Major. 1 Feb 1931 Hugo Sperrle was promoted to the rank of Oberstleutnant. 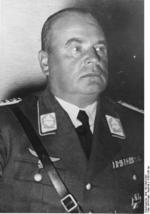 1 Aug 1933 Hugo Sperrle was promoted to the rank of Obserst. 1 Oct 1935 Hugo Sperrle was promoted to the rank of Generalmajor. 1 Apr 1937 Hugo Sperrle was promoted to the rank of Generalleutnant. 1 Nov 1937 Hugo Sperrle was promoted to the rank of General der Flieger. 2 Apr 1953 Hugo Sperrle passed away.